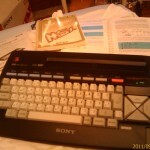 Tonight I'm going to speak of my first MSX computer. I just waited too long to collect it, but it was worth the waiting. This is the Sony Hit Bit 10P. 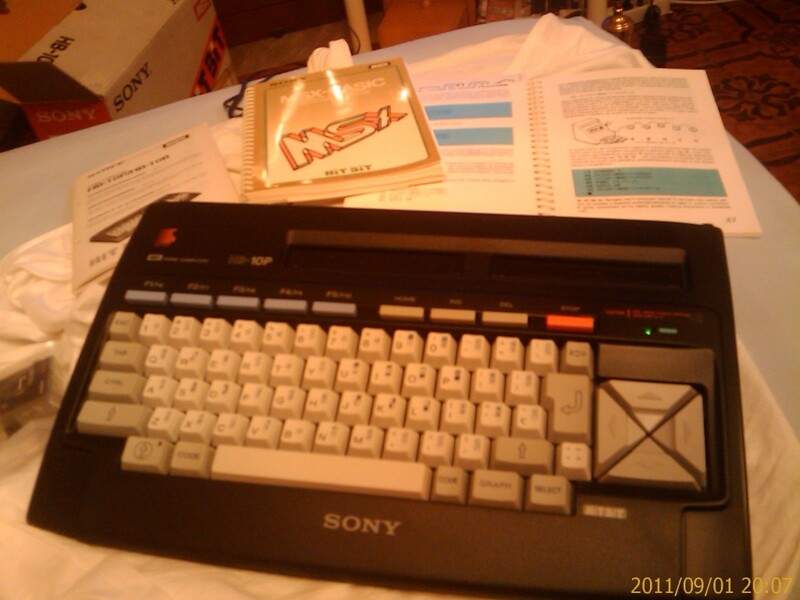 The machine that I own, expensively purchased through e-bay, was produced by Sony that, Like many Japanese factories, provided a major contribution to the MSX machines. 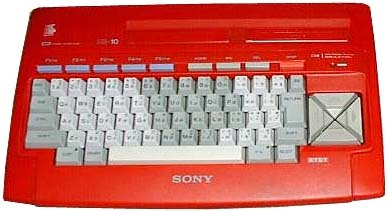 Hit Bit serie was the Sony entry-level production, and was distributed in two colors: a fire-red one, dedicated to the Japanese market, and a black version, targeting foreign markets. The final letter of the code identifies the country in which the serie was marketed. The specimens were Spanish codename ending with S, the ones in Germany with D, the Portuguese ones (or Polish?) as mine, with the letter P.